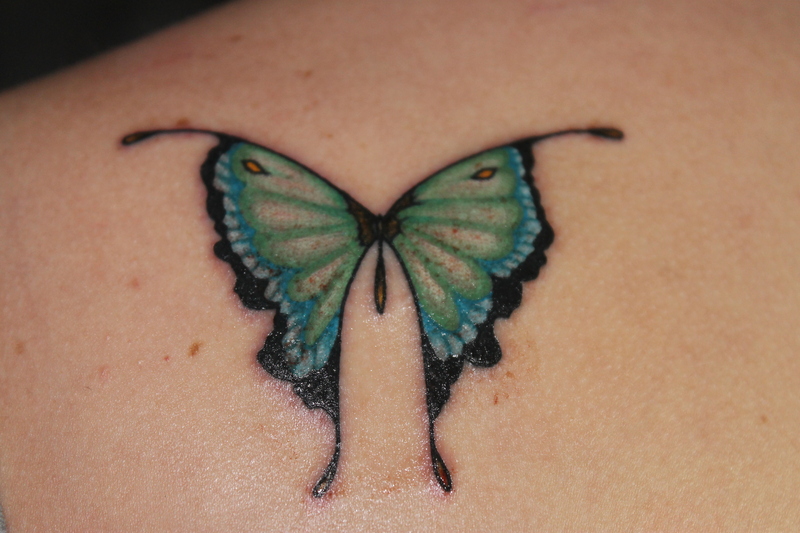 This tattoo is half a re-design of my mom’s tattoo and half a re-design of a random butterfly temporary tattoo I got in a machine when I was 12 that I loved too much to use. My artist friend combined the two into a design for me and after four years of carrying it around in my purse and looking at it every day it was finally time. 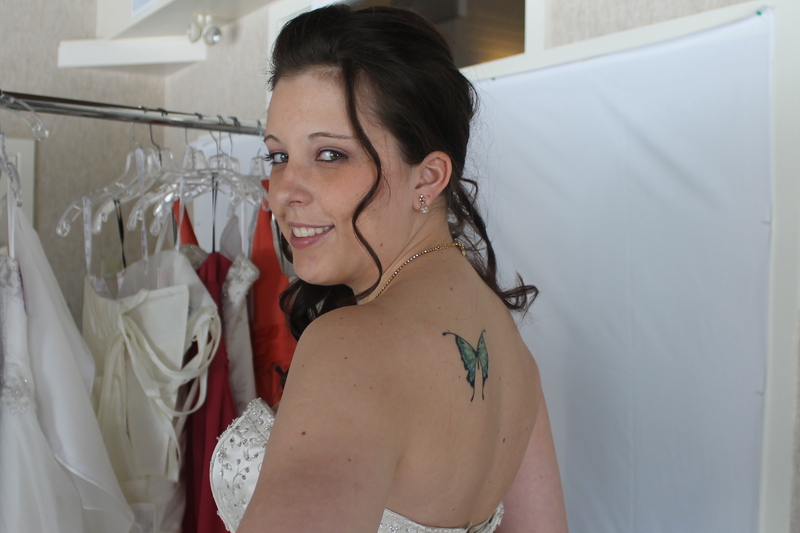 This gorgeous butterfly will live on my shoulder forevermore. It was supposed to be my first tattoo, at age 21, but I didn’t get around to it and ended up getting my puzzle piece on my wrist first. Right after I got it. Note the blood spots.